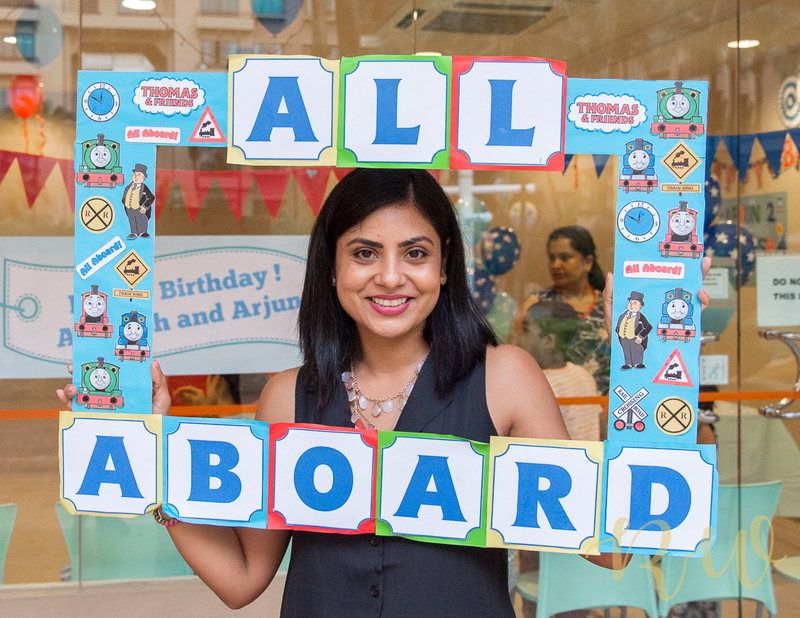 Birthday Party Planning- Few tips to make it easier! September is the happiest and the most exciting month in our family! It’s the Birthday Month for our 2 boys – El Mono who turned 4 and El Gato who turned 2 this year! Weren’t they just born yesterday?! Whooosh! time is surely flying fast! We all mommies, do dream of those perfect birthdays, where the pictures would be so dreamy, the boys would be at their best behaviour, no terrible 2s or fretting 4s, they would happily wear their birthday special outfits, which you must have hunted every store in your city to buy! Are you with me? Birthdays are magical for sure, to see your little one blossom every year but they can surely be stressful too! Is there going to be a party – what date? what theme? reserve a venue, make invitation lists, return gifts, catering, etc, etc. 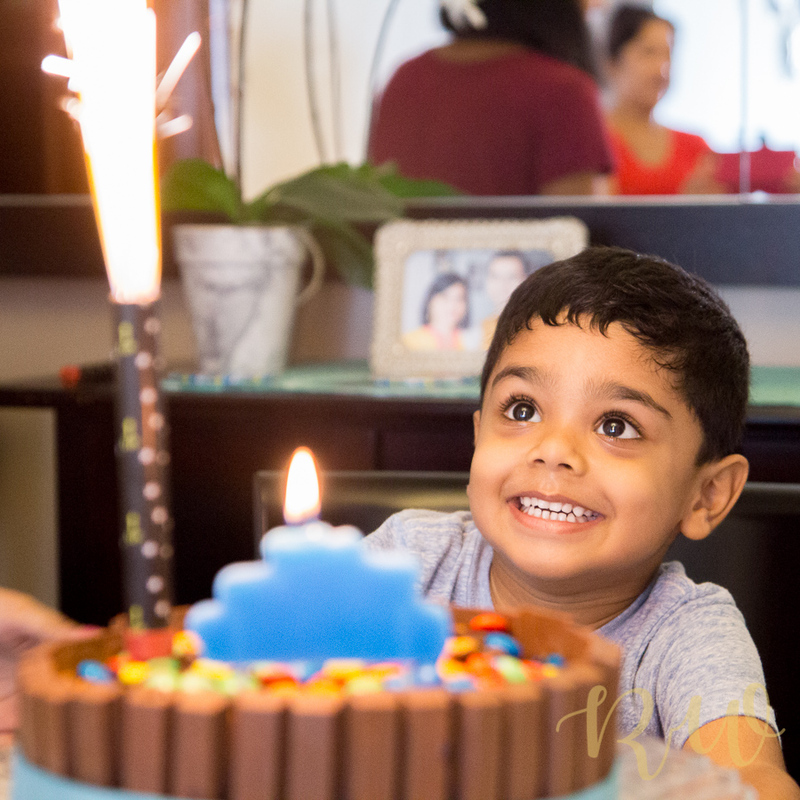 We just had the birthday party (DIY decorations for theme) for both our boys a few days back and I will share my experience along with some tips on how to reduce that stress and anxiety which often comes with planning a party! Just make a master file of all the kids and their families (with names) in Google Sheets and edit every year! It will take some effort the first time you make it but trust me, it will save you so much time the following years. It can keep a record of a lot of things like exactly how many people will come, names and ages of the kids, gifts you received, the return gifts you gave etc. Estimate how many adults and kids will be coming and then make a budget and allocate to various heads, like Food, Cake, Decorations, Birthday gift and Goodie bags for all the invited kids. AND ALWAYS STICK TO THE BUDGET! Of course there is a good amount of research to be done to come up with a realistic budget for the first party – thereafter this is not so much work if you keep good records. 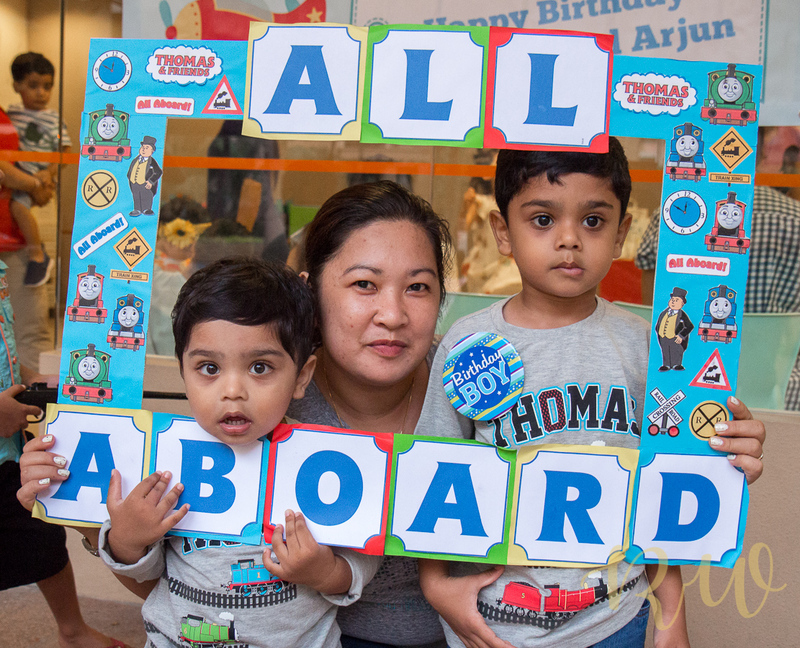 Both my boys – big-boy bubba and little baby Boo, were into Thomas and Friends for the last few months. So the theme was right in my face and I went with it. With branded themes comes the premium prices – especially if you are using a party planner! Everything licensed and trademarked would generally cost more than the normal general themes (like balloons, buntings, tableware, goodie bag gifts, etc.) So I wanted to reduce the cost wherever I could and still give the boys the theme that they wanted! That meant: no party planner and DIY decorations. After hours of googling and pinterest-ing (if that’s even a word) I found few easy theme related DIYs which were so adorable and easy. Tip: Balloons, especially the helium ones definitely cost more. So limit the numbers of those if possible, unless you get some at good rates online. Decorations can easily be made with normal colourful (theme related) balloon art and make the party come to life! Lots of how-to videos available, all is needed is some patience. 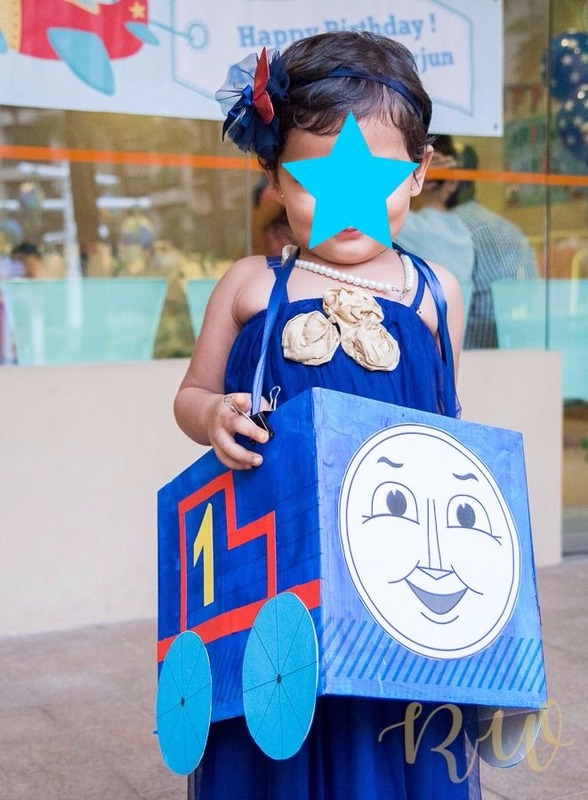 These were super-cute train engine costumes made from old (or new) cardboard boxes, which kids could easily wear and would blend with the decor and the theme! The cardboard boxes can easily be thrifted (just ask your local store to give you the used ones) but since I needed to make 6, I bought from the dollar store. 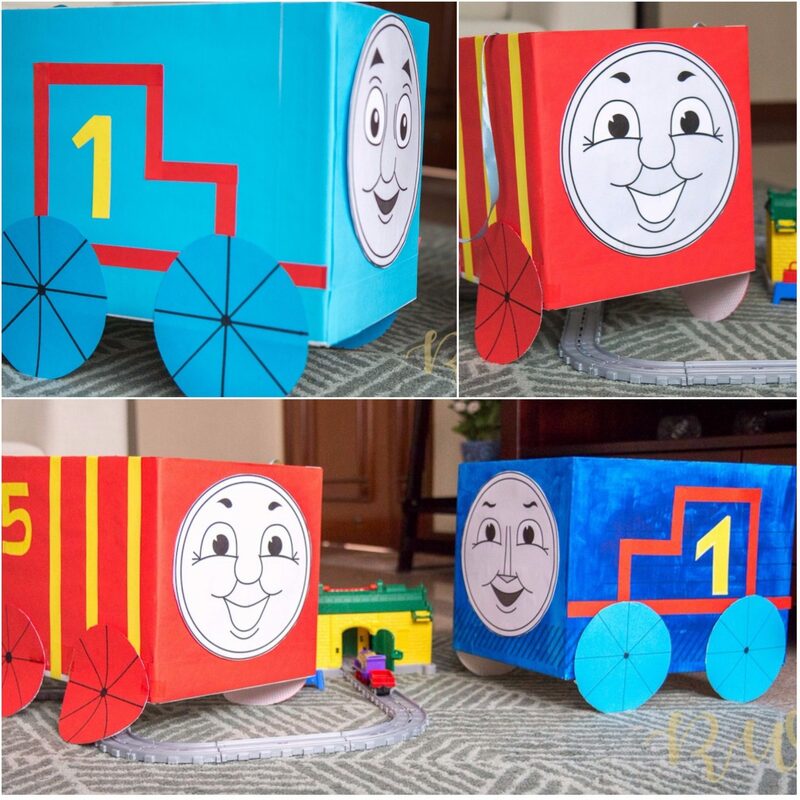 I just printed out the Thomas and his friends’ faces and stuck on the box, attached two ribbons and Voila! made myself 6 easy choo-choo engines. 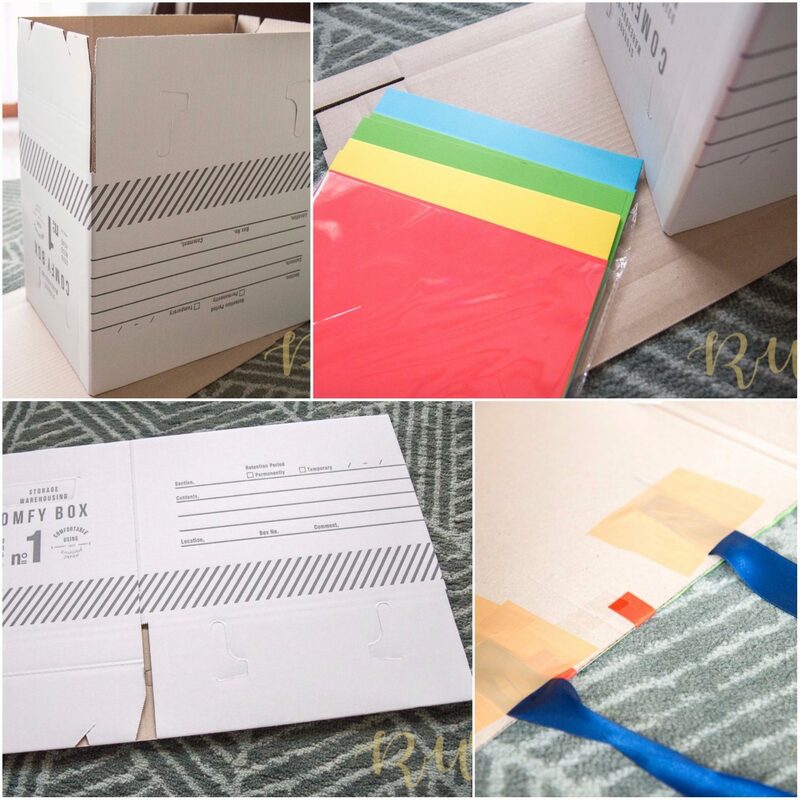 Tip: keep a few paper clips handy in case the scotch tapes fastening the ribbons to the box come off! I used the Free Printables from the link here. The following pics should give you an idea on how to make it. I am now using these colourful boxes to organise things in my cupboard and the kids room. Money saved! Photo props are huge these days; we all want to make the photos look nice. We share them on social media so cute props take the photos up a notch. I made this simple frame out of a soft plastic board available in bookstores, prints of letters and themed pictures. It really made the photos come so nice and fancy. Once the theme is fixed, the invitations needs to be sent out immediately, since the confirmation list is very important to proceed with everything else. 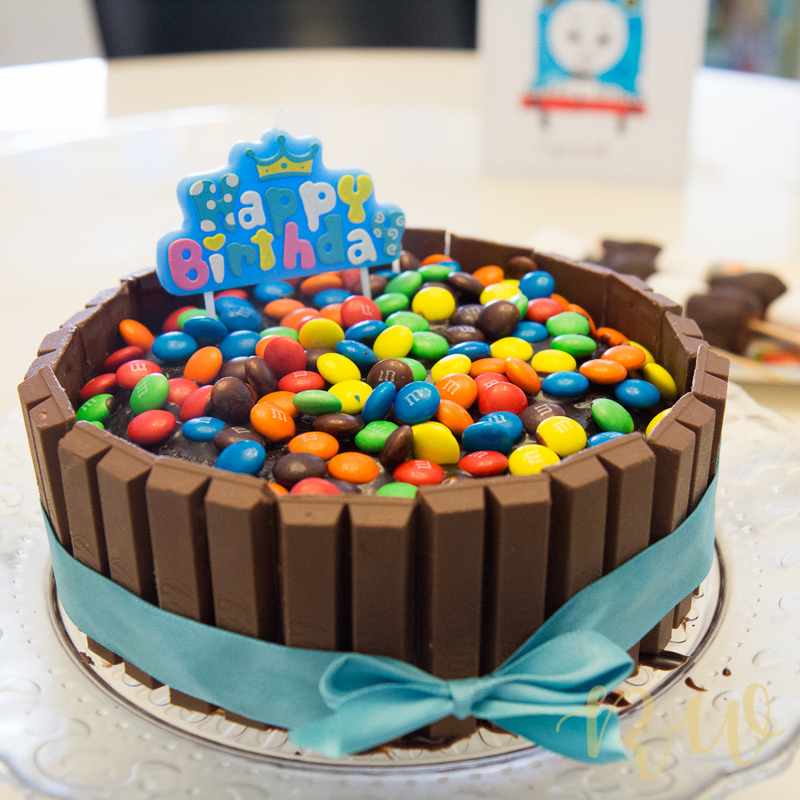 I used Canva App in my phone and laptop to create a cute digital Thomas Birthday Invite for the invitees. Ask your friend to bake it or if you can yourself, do it! For mommies, like me, who are not that confident in baking, a trusty cake mix always comes to the rescue! If having fun with all the mess, ask your little helpers to join in too and let them decorate…. I did this for my son’s actual birthday and not the party! Boy! what good fun we had…. Finally, stick to the budget….the internet is crazy filled with unbelievably beautiful cakes and pictures. Even though we want all, just restrain and stick to the ones which are affordable but not compromising on the taste. Nobody wants a perfect looking cake with terrible taste. We all have been there: frantically browsing the serpentine aisles of numerous toy-stores to find that perfect toy, which the kids would play for a long, looonng, loooonnngg time! Whooo! The older kid, wanted a train track this time – Thomas. The younger one is in the phase where he blindly follows his older sibling and hence asked for the same thing too! (that was a relief to be honest!) The first thing we did was to look for the gifts within our budget (in stores and online)….It’s very easy to go overboard when it is for your kid, but do keep in mind, there will be lot more gifts they will get at the party and they will lose interest very soon. Me and my husband, like all parents, did not want to give them just another toy for the sake of giving a toy. We try to look for toys which will arouse curiosity and let them be creative. So we got a few engine models (ones without batteries) and a track pack. We ask them to build and rebuild the tracks every now and then. So far it is working since both the boys get lots of applause and encouragement every time they make the track differently. That master file made in the beginning will come to use now! If all the kid are more or less the same age group, it is much easier to get something for all them at one go or order in bulk. If otherwise, like for me, where there were 60+ kids of various age groups, it is stressful for sure! I categorized the kids by age groups to find the number of kids in each. It became much easier, once the numbers were divided up into manageable blocks of age categories. I knew what to get for each age group and how many to buy exactly. Ideas: Board Books, Bath books, colouring pens, art and craft items, clothes, simple small toys, swimming toys, activity books, headphones, fidget spinners, brush pens for calligraphy or painting, etc. Outsource, if number of guests are more than 20. It’s best to keep yourself hassle free that day and you can actually enjoy the special day with your little birthday bums. Like me, do you moms feel it is the problem of plenty these days with the kids? The happiness and the joy to open and receive a gift (specially a toy) is so short-lived. I feel so bad, since I get more excited to see a toy than them! Every year, before opening the birthday gifts we tell our sons, that all the toys are not for playing, and they can each chose a favourite toy and play with that only – some are for giving to other kids (similar ones they already have), some to play with later and some for sharing. We let them open all the gifts, decide which ones they can keep. Round the year we give them toys from that section like Christmas, Indian Festivals, etc. A small effort on our part to make them appreciate the things that they have…still a long way to go but nevertheless trying hard. 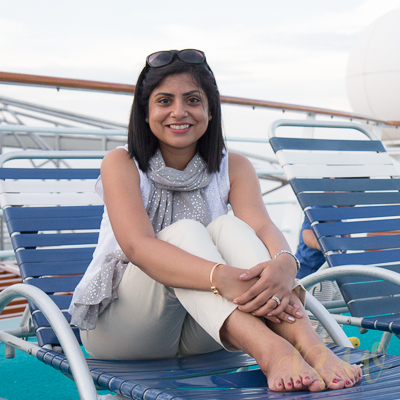 The journey of motherhood is never easy and planning birthdays are just a part of it! Hopefully the tips will make the planning a bit easier, especially for the new mommies out there! Let me know how are you planning that special day for your little ones…. Previous Post Snack Attack – Creamiest Hummus Ever! Hats off to you dear mommy !! The decorations ate simply awesome and to think you did it all by yourself with the two kids around . The boys are truely little darlings ,because if not you wouldnt have been able to complete this mammoth task.Wonderful !!! Such wonderful tips. Thanks for the article mama. I love, love, love birthday planning and your parties look like they were a blast! Thanks for sharing these tips. Thomas was a fav o four clan too! Thank you for the appreciation! Do show me the pics of your diy props:) it’s always fantastic to connect with another ‘diy mommy’. Loved d deco… cake looks yummy! 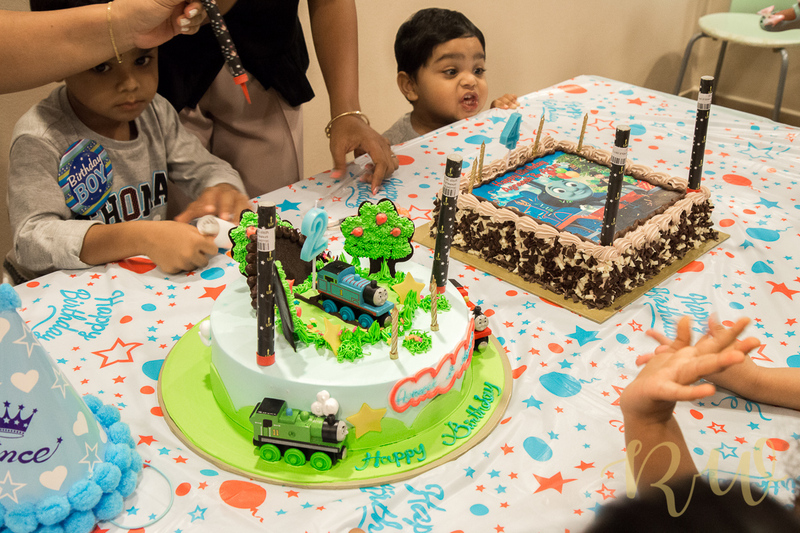 I had a hard time plannin for my sons 1 st bday… wish i hd a seen sometn like wat u hv written earlier..my job wud hv been so much easier..we cudn stick to the budget…it shooted way up to wat we had planned..even though everytn was planned and organised we always missed something…wil take ur tips and ideas for nxt bday! Thank you so much for appreciating ! I still remember how we went nuts planning and organising for our kid’s birthday. Your post includes some wonderful tips and ideas. Sticking to the budget yet finding everything best that suits us-is so relevant. For cake mix I generally use Betty Crocker mix mostly in chocolate flavor ( coz, my kids don’t eat any other flavor 😧😂). They turn out perfect every single time. Good luck with your planning and best wishes to your little one for the birthday. We are done with all the birthdays this year but have bookmarked it for next year. I LOVED the ideas you have given. Will surely take away most of my planning stress. So happy to help! Let me know how you will plan the next birthday! Beautiful pictures. Love the DIY stuff you put so much effort into. Thanks for this exhaustive list. Thank you for the appreciation ! Hello!? Just what I wanted to read. I keep reading birthday planning posts and it sort of kicks me to start planning for my sons 2nd in December. i Simply loved the idea of wearing a train. It is so cute Iam sure the kids at the party thought you were the coolest mom ever. Look forward to reading more from you and regularly. Nice to know about the party and the celebrations. Happy birthday to both the kids. Great preperations, mom. What a detailed post on the b’day party idea. Loved it. I am pinning it right away! Thank you so much for the wonderful words… need all the support from the readers !